Alicia Keyes is everyones favorite for a reason here she is pregos and still tearing down the stage, she was at CBS radio event this weekend. 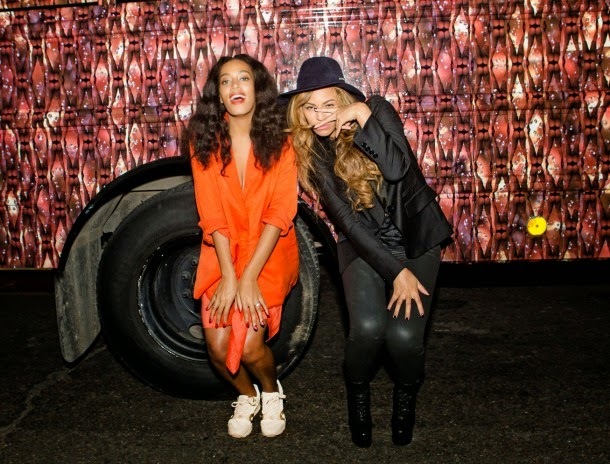 I like to see these two sisters laughing and enjoying the lime light, Solange and Beyonce at the Bounce Bus event this weekend. Rito Ora performs at a private event in Russia this week, she keeps making moves i cant wait to see her in "50shades of Gray" . Baby Bump watch Kelly Rowland seen out and about in Beverly Hills doing some shopping for her bundle of joy, she looks so happy pregos.